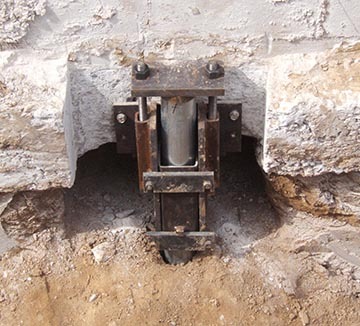 Here at KC Pro, we offer a variety of piering solutions for all of your foundation repair and new construction projects. 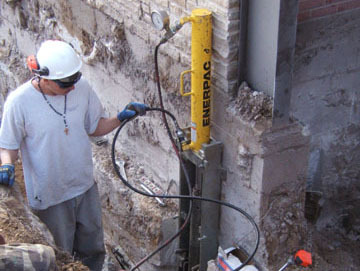 From helical piers to slab piers, we have it all. 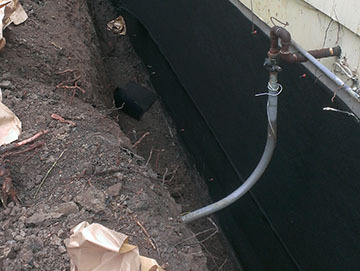 We provide foundation repair, waterproofing, crawl space repair, mudjacking, concrete installation and more for customers throughout Kansas City. Earth Contact Products, the leading manufacturer of foundation repair tools, is our first choice for every foundation repair project. Because when it comes to our customers, only the best will do. Proudly Serving Customers with Quality, Dependable Concrete Services. At KC Pro, we want you to know what sets us apart from other companies. To us, details matter – the precision of our work, the politeness of our people, the commitment to doing the job right. It begins with us coming to your home or business and giving you a detailed estimate, and continues throughout the project with our excellent customer service. We are your premium service provider of basement waterproofing, concrete repair and installation, mudjacking, and foundation repair in Kansas City. 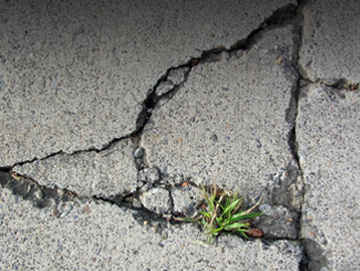 When it comes to foundation repair, we use only "The Very Best" in under-pinning products from the industry leader, Earth Contact Products. Do you have a wet basement? 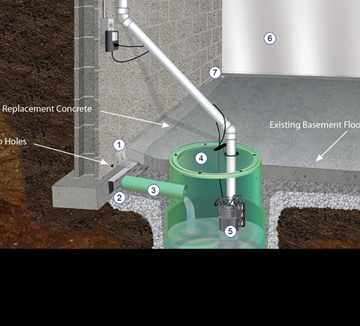 We provide reliable, professional service with the latest waterproofing solutions to keep your basement dry. 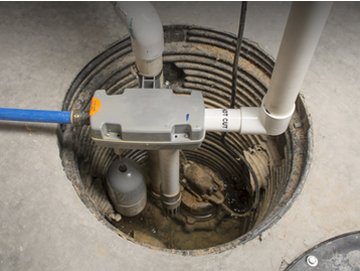 To ensure your home's safety during periods of heavy rain you need a proper sump pump system you can trust, and we install the best! 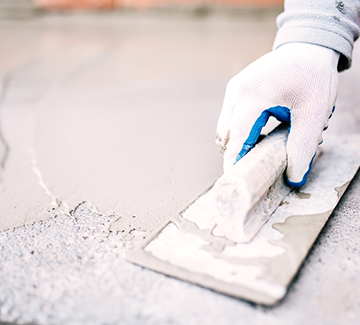 No matter the severity of the problem, when it comes to mudjacking, KC Pro is your go-to company for concrete repair and replacement services. 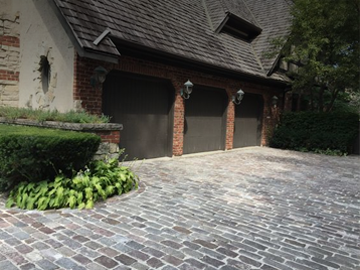 Whether you need a new patio, custom walkway, or driveway, concrete is the best choice - now with more color and pattern options than ever before! 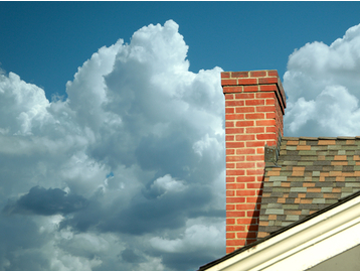 Simply filling in the space between your home and a leaning chimney will not fix the problem. The best way to repair a leaning chimney is with helical piers. Ready to schedule a complimentary project estimate?